Join Hoopa Mountain Lion biologist and certified track and sign specialist, Phil Johnston on a trip to the Redwood Creek area in the Redwood National Park area to look for tracks and signs of a wide variety of Humboldt’s native but often difficult-to-observe mammals. Everything from tiny tracks of shrews to more distinctive tracks of top carnivores such as Mountain Lions and Black Bears will be searched for and Phil will explain how to identify the tracks and also interpret what the animal was doing at the time. 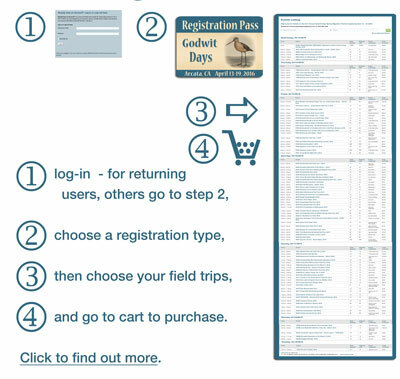 This will be the first tracking trip offered at Godwit Days! Bring a Lunch. Easy walking, but there could be some muddy conditions depending on the creek flow and weather.